Home / Business/Commercial Practice / Employment / Judicial / Labor / What Can Employers Expect from New Supreme Court Justice Kavanaugh? What Can Employers Expect from New Supreme Court Justice Kavanaugh? Last Monday, President Trump nominated to the Supreme Court Brett Kavanaugh, a judge on the DC Circuit Court of Appeals. This is a pick that employers should be happy about, as Judge Kavanaugh has generally sided with employers during his time on the bench. Judge Kavanaugh is regarded as a textualist, which means that he attempts to apply the law as it is written, and does not consider what the legislature might have meant when drafting the law or whether the law should be reinterpreted based on new social developments. 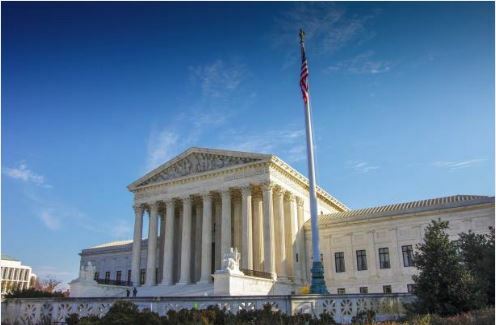 This means that he almost certainly will not find that Title VII of the Civil Rights Act of 1964 bars discrimination against gay, lesbian, or transgender employees, as the statute does not explicitly state as such. Judge Kavanaugh has also sided with employers regarding the right of workers to organize and engage in criticism of their employer. In Southern New England Telephone Co. v. NLRB, Judge Kavanaugh held that the employer did not violate the National Labor Relations Act by forbidding employees who interacted with customers from wearing union shirts that said “Inmate” on the front and “Prisoner of AT&T” on the back. Justice Kavanaugh’s appointment may also limit the power of the Equal Employment Opportunity Commission and other federal agencies, as he has ruled against Chevron deference, which gives agencies significant deference in interpreting their own regulations. Given the way that the EEOC has aggressively targeted businesses in recent years, that is undoubtedly a win for employers. He also noted in a dissent that the structure of the Consumer Financial Protection Bureau is unconstitutional because having only one director erodes the President’s Article II powers. Additionally, in Int’l Internship Program v. Napolitano, Judge Kavanaugh ruled against granting visas to a number of foreign students who would have obtained unpaid internships in the United States, holding that this was not in compliance with immigration law. Judge Kavanaugh also wrote a dissenting opinion in a net neutrality case taking a position against net neutrality. The rule required big internet providers to treat data equally and to not favor some data companies over others. Kavanaugh wrote that the rule violated the First Amendment by interfering with the editorial decision-making of internet providers. Ultimately, if Judge Kavanaugh is confirmed, it will likely mean a constrained, predictable Supreme Court that interprets statutes and regulations based on how they are written, and not the judges’ personal political preferences. Stay tuned to our blog for updates on Judge Kavanaugh’s confirmation and major Supreme Court rulings.